Who doesn’t love the feeling of walking bare feet on freshly mowed grass? What if you can have that feeling anywhere, anytime. 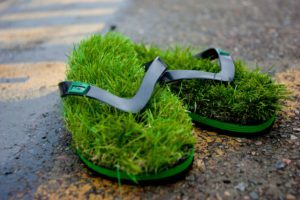 This Kusa Grass Flip Flops can give you that exact feeling. Its high-quality synthetic grass provides you the look and feels of a real grass.